As it turns out, the Wilson carpark on Halifax provides the perfect hollowed out, dead space to fill with skulls and candles, stilt performers and Patrón tequila. Shiver now, in fear or wonder or both. It is Adelaide’s enactment of Dia De Los Muertos – Day of the Dead – a captivating holiday to remember the departed. It is Halloween’s cool Mexican sister, from ancient Aztec celebrations in honour of Mictecacuhuatl - try pronouncing that - the Lady of the Dead. It is also the first carpark that has ever offered me a free margarita. This should not be under-appreciated. And let's not forget the complimentary taco from La Cantina Co or the free face painting to fuel the spirit of the night. 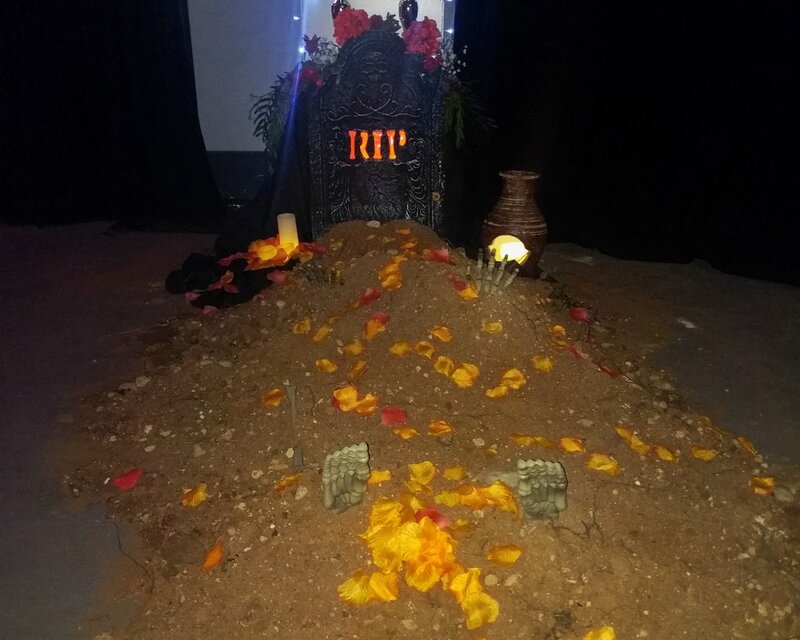 A freshly dug grave marks a macabre welcome, and undead dancers perform on a looming cross-shaped stage. Flags and coloured lights rise above an impromptu dance floor with roving performers. The pulsing music feels like it could be my heartbeat or the blood rushing through my head, and I can’t hear a thing anyone is saying. This may not have the depth of your traditional Day of the Dead festival, but the tastes and sounds and drama and calaveras conjure a heady atmosphere that takes you out of Adelaide and into another realm. Keep an eye out for this one next year if you want to honour the dead with tacos and drown in rich colour, intoxication and desire. To stay in the loop for the next spectacular event, check out Entertainment Adelaide on Facebook and Follow the WOLF Entertainment on Facebook.